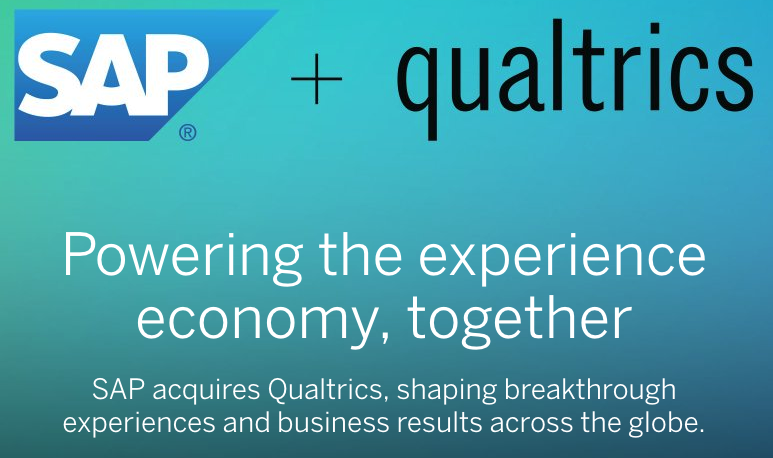 So SAP just announced that it’s buying Qualtrics for $8bn. That’s roughly two Kantars, one Nielsen or about a fifth of the global research industry. It’s also around 20 times Qualtrics’ forecast revenue for 2018 ($400m). For comparison, IBM is paying around 10x revenue for Red Hat; and salesforce.com trades at around 11x annual revenues. SAP is really banking on this being a transformative deal. But apart from its surprising economics, what does the deal say about the broader business of research, customer experience and analytics? Here are the first 5 things that jumped out at me when I heard the news. SAP is the world’s third largest software company with turnover of more than $20bn. It just bought a research platform to pep up its cloud revenue stream and offset slowing growth in its core business. A research platform as a growth driver for a massive enterprise. This should excite everyone running an agency or an insight team – not just those of you running software firms. Qualtrics likes to talk about ‘X data’ and ‘O data’. X data is experience data: customers’ ratings and opinions captured through surveys, feedback forms, review sites, social posts or hygienic touchscreens in airport bathrooms. O data is operational: transactions, clickstream, call history, location, whatever else gets captured by the apps we use. “Bringing their ‘X data,’ experience, to the ‘O data,’ the operational data we have, bringing that together can claim the most important category of all,” says Bill McDermott, SAP’s CEO. Wow. Don’t hold back, Bill. I guess if you work with ERP software, even a market research platform looks cool. “This is the No. 1 most transformative thing I’ve ever been involved in,” he goes on. But all this excitement is a little weird … because SAP spent $2bn buying Callidus Cloud in January this year. That deal included Clicktools – a CX feedback platform that has many of Qualtrics’ front-end features. Still – none of this detracts from the core point: feedback data (X data, survey data, research – whatever you call it) will be increasingly combined with behavioural data. It’s the sea change that is restructuring research departments and driving agencies to build data science capabilities. Research methods and thinking are coming out of specialist research teams, agencies and standalone tools – and into other teams’ apps and workflows. Over time, we can expect to see more Qualtrics features embedded in other SAP applications like CRM, Marketing Cloud and Analytics. This will allow users of these tools to bolt on CX components (NPS questions, text analytics etc) without needing to loop in experts from research or CX teams. This transition – embedding research workflows as ‘apps’ inside other tools – is happening in more and more places. Here are three other areas where technology is putting research tools into the hands of non-researchers. 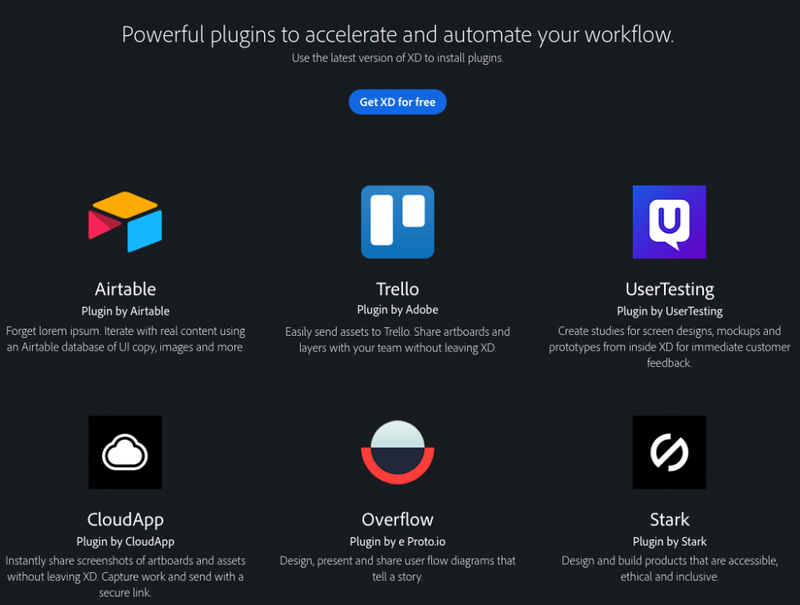 Adobe XD is a prototype design tool for websites and apps. UserTesting, an insight platform for user feedback, is now available as a plugin within Adobe XD so that designers can carry out immediate research on mockups and prototypes. 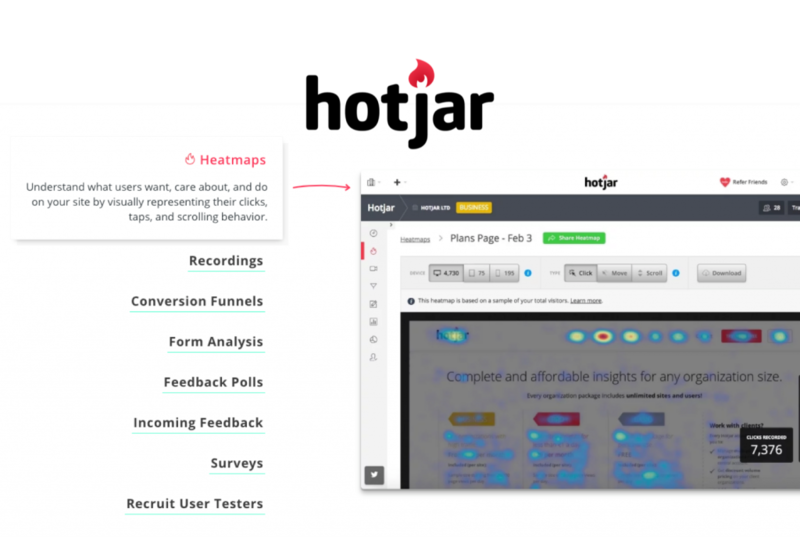 Hotjar is an in-page analytics tool that tracks how users interact on a website, providing heatmaps and session recordings of individual visits. It also includes feedback polls, NPS surveys and a module to recruit test users for qualitative research. 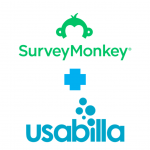 Segmanta is a survey tool aimed at non-researchers – specifically marketers and brand managers. 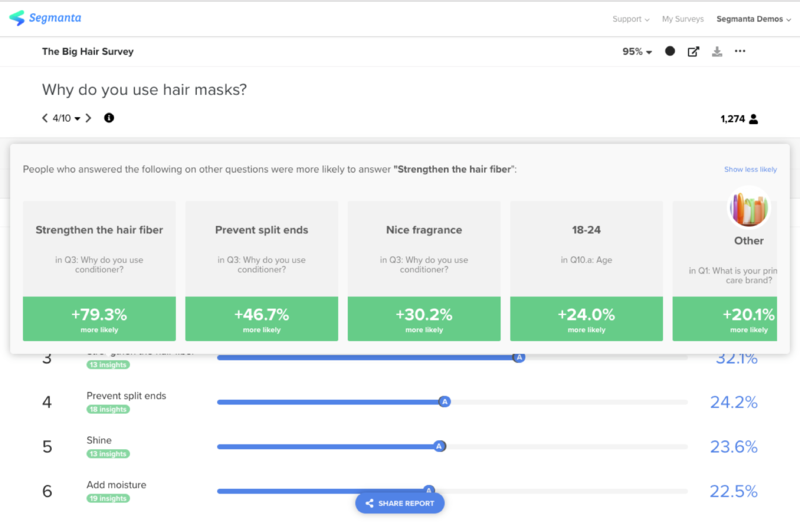 The analysis module automatically shows a prioritised list of significant differences for each answer in the survey – guiding users to the most relevant insights. 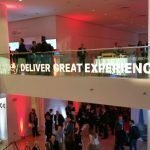 A few months ago, Kantar TNS and Qualtrics joined forces to form a global customer experience powerhouse. That’s press release-speak … it means Kantar chose Qualtrics as its software provider for CX work. There’s an implied hierarchy in the dynamic: Kantar selected Qualtrics. But in other software markets, this power structure is subtly different: resellers and consultants apply to be authorised partners; the platform provider screens, selects and trains them to make sure they implement and manage the software properly. Think Microsoft Gold Certified Partners. Software firms often don’t want to provide services and consulting themselves; so they use their sales and marketing heft to acquire customers, and have partners deliver the implementation and on-going management. We should expect the largest insight platforms – Qualtrics and others – to adopt this model over time: research agencies and consultants should get used to these kinds of partnership and the new power dynamics they imply. For every exponential startup that hits the headlines, there are dozens that crash and burn before even hitting revenue – let alone turning a profit. In the bonkers world of software, Qualtrics is actually testament to doing things according to a long term plan. The business is 16 years old; it had been around for 10 before it took any venture funding. It has generated free cash flow every year since 2002, according to its IPO filings. Time will tell whether its purchase price was silly or good value; but the fundamentals are all in the right place.